19. July 2017 22. April 2018 Hans Henrik Nielsen Do you want to learn how to make money daytrading? Before beginning daytrading, make sure that that you are aware of both the pros and cons of this kind of trading. In this article, we challenge the many myths about daytrading. Daytrading can be exercised everywhere, you only need a laptop and an internet connection. By now, both computers and internet connections are available for little money, making daytrading accessible to almost everyone. Daytrading does not require any long-term university education. Some of the best daytraders in my circle have either no education at all, or else they have an education that has nothing to do with finance, investment and trading. Occasionally, I actually think that long education can have a negative impact on good trading, because you often overthink the trades or may not be in a hurry to take financial risks. Daytrading (when you master it) can be extremely profitable and provide a higher income than most other jobs. 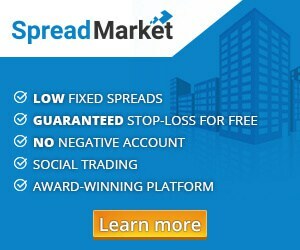 Daytrading requires a market to trade in, as well as movement in the market. If you are managing daytrading and can capture the small and large price fluctuations in the market, you can earn a lot of thousands of dollars a day. Personally, I know people that earn more than 1 million in profit per month. However, this has required long-term training in advance. You choose your market to daytrade in. There are many markets to choose from and they all have a wide variety of characteristics. Find one that fits your temperament, trading strategy, risk profile and, not least, working hours. You decide your working hours and risk profile yourself. Working hours are relatively free of a day trader. From the night between Sunday to Monday and then to the night between Friday and Saturday, markets are open for trading. It may be index, currency, commodities, etc. The possibilities are endless. However, my recommendation is that you select a few markets and specialize in understanding them so that you get to know their daily rhythm. Personally, I have chosen a number of markets to suit my sleep rhythm, my children’s leisure activities, my wife’s work, etc. But I decide completely myself, and it’s a freedom that many loves about daytrading. You are not so exposed to day-to-day risks such as news about a company outside the stock exchange opening time. Many private investors have tried to own a stock, where there has been released bad news after the opening hours of the stock exchange so that they have not been able to act on it. The stock then opens down with a huge gap when the stock exchange opens the next morning. This is usually avoided by daytrading, because being in and out of trades are relatively fast. Personally, I like to trade the big indices (Dow, DAX, SP500, etc.) as well as large currencies and commodities, as they are not so risky in terms of news as there need to be a very large event to move a whole market significantly (such as the World Trade Center disaster 9/11 and the like). Daytrading requires a lot of time that you could otherwise have spent on a fixed and safe salary. Concentrated daytrading takes a lot of time. So, if you want to daytrade while keeping your regular job, you need to find some markets that are open outside your normal working hours. But it can easily take 10, 20, and 30 hours out of your week if you’re following just a couple of markets, so you’ve got to determine whether it’s something you’re willing to sacrifice. Fewer hours can of course also do, but if you really want to make good money on it, then 15 minutes per day is certainly not enough. Daytrading involves a risk of losing money (which rarely does in a normal job). If I have deposited 10,000 into my account and geared them (i.e. borrowed more money to trade on top of my own), I can, for example, have 100,000 DKK to invest for (10,000 of my own and 90,000 of the bank). If I then invest every 100,000 in one investment that suddenly loses 10%, I’ve lost 10% of 100,000 DKK = 10,000. But since the bank wants their 90,000 again, I’ve lost all my own 10,000 kr. This scenario is not particularly likely, because you do not take such big risks, but it is to give an example that it may also go wrong. Because of this, a lot of people selects binary options instead. Binary options are a product where you pay a little more in trading costs but, in return, know your risk 100%. So, if you enter 100 DKK in a trade you can lose a maximum of 100 DKK. On the other hand, you may only earn 85 DKK. But it’s a trade-off that many people like to do so, in return, knowing the overall risk. Daytrading takes a long time to master. One of the factors that often causes people not to succeed with daytrading is that they do not have realistic expectations from the start about how long it really takes to learn the it. I usually recommend people to spend a minimum of ½-1 years for the learning process. Someone learns much faster, but it will be too optimistic to believe that one can take a 2-day course and then go home and make millions. Hi Hans, thanks for this valuable info, you say you also trade indices, do they require the same strategy that you use in trading currencies? I once watched a Dax chart it was not pretty lol.